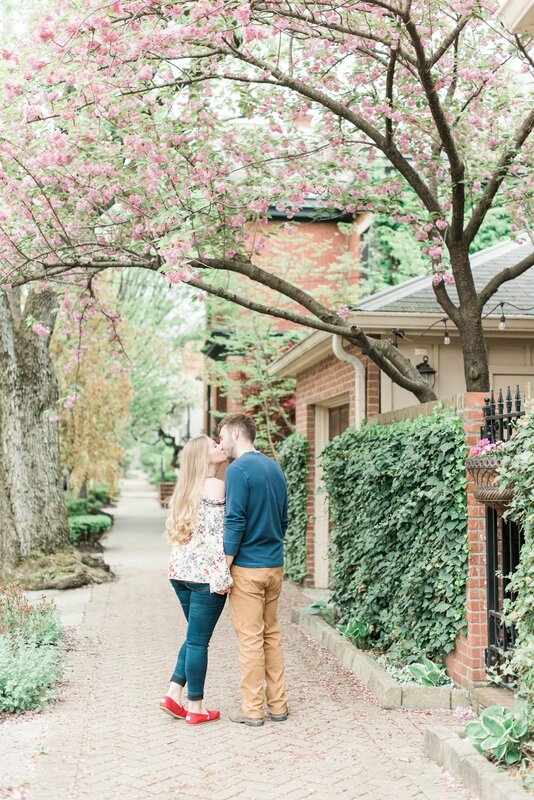 I probably say this every season, but spring engagement sessions are my favorite. Aside from dodging some rainclouds, the weather is usually perfect, the trees and flowers are blooming, and nature is just showing off in general. 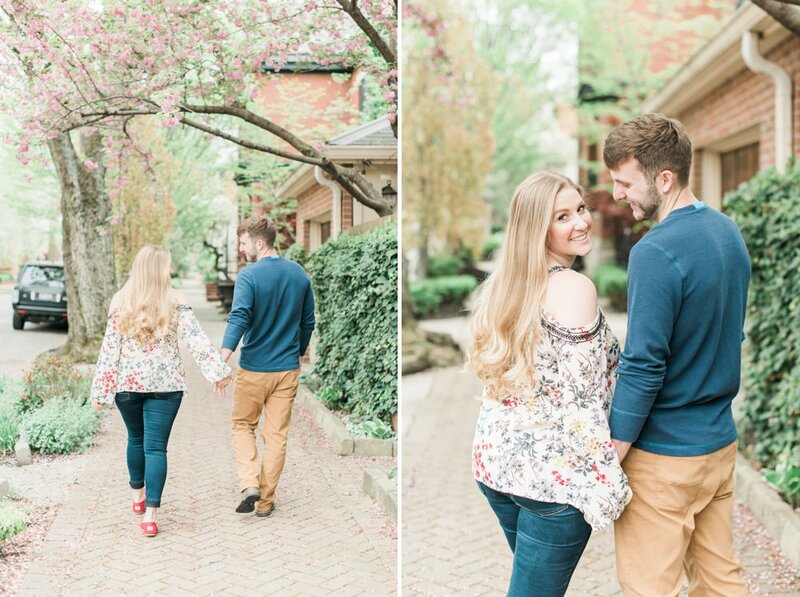 Although we had to reschedule Alaina and Daniel's engagement session due to the afore-mentioned rainclouds, we eventually got the perfect evening to wander the streets of German Village for their pictures. I had such a blast with them! Not only are they super adorable together, but the way they constantly make each other laugh is so much fun to photograph. 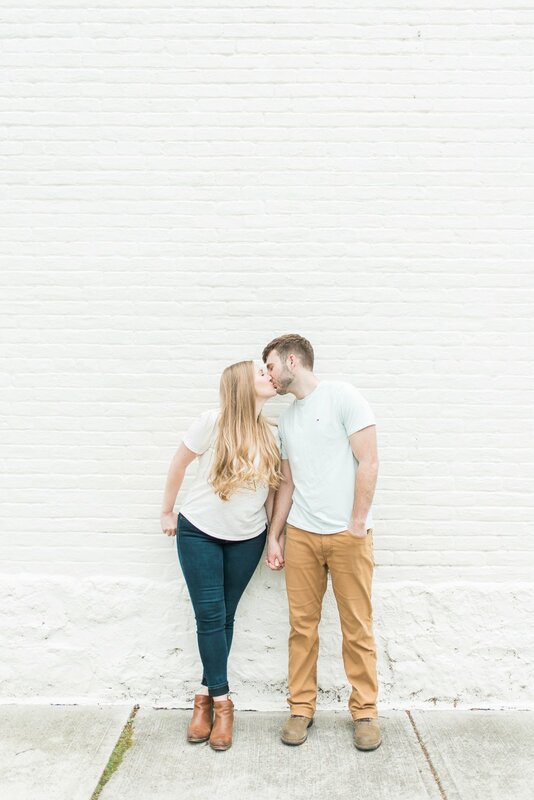 I have SO many favorites from this session! 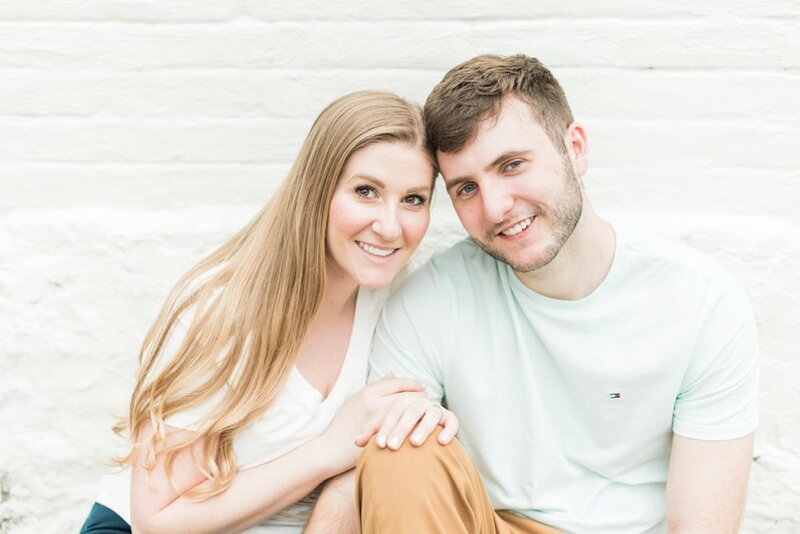 Alaina and Daniel are planning to honeymoon in Scotland after their wedding, and I found out that Daniel has a crazy knack for finding four leaf clovers. Out of a whole patch we were shooting in, he found one immediately! 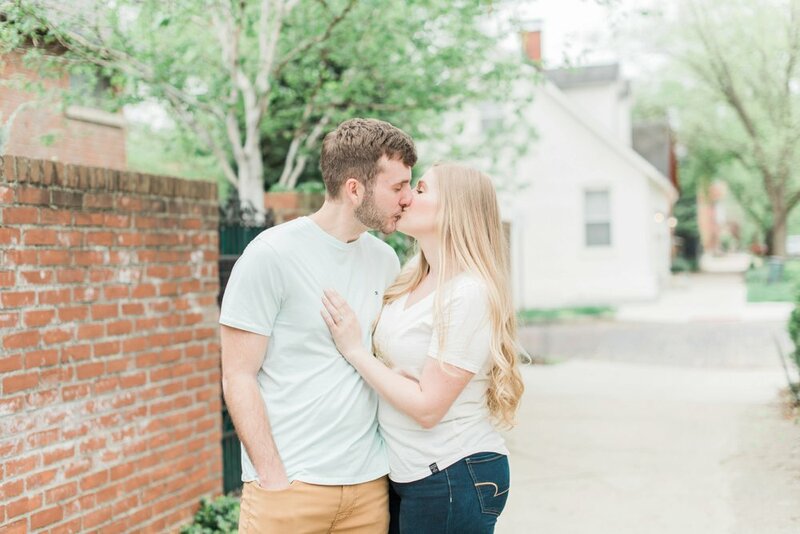 One thing's for sure, these two are lucky to have found each other, and I can't wait for their big day that's coming so soon!